Improving Human Performance: Technology Innovations Effect Cognitive Function? What Happens To The Brain When You Improve Signal Quality? And How Does This Increased Brain Coherence Effect Human Performance? 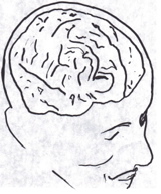 Dr. Lyubimov, head of the Laboratory of Neurocybernetics at the Moscow Brain Research Institute Academy of Medical Sciences conducted a research study to provide an initial, but rigorous evaluation of the effects of Coherence Technology™ (CT) on the electrical activity of the human brain, as measured by the electroencephalogram, or EEG. The following is a brief summary of the testing methods and results achieved. Six subjects were studied. Each person participated in two one-hour test trials. They wore a standardized electrode cap. All data was recorded and stored on a hard disk. All subjects were seated in a room approximately 12’ x 14’ within a large three story office building. Measurements of brain wave activity (EEG) were recorded for each subject, once without CT connected to the electrical supply of the building and once with the Coherence Technology connected to the electrical supply of the building. * Increases in EEG brain wave coherence have been scientifically correlated with increased creativity, improved task performance, faster reaction time, improved learning ability, improved grades in school, higher moral reasoning, increased IQ, etc. Dr. M. Barry Sterman, a Professor Emeritus in the departments of Neurobiology and Biobehavioral Psychiatry at the UCLA School of Medicine conducted a research study to provide an initial but scientifically rigorous evaluation of the effects of CT on the electrical activity of the human brain. Three subjects were studied. Each person participated in test trials administered over a six-hour period. Subjects wore a standardized electrode cap with 19 recording sites. All data was recorded and stored on a hard disk. A computerized version of the Continuous Performance Task, or CPT, was administered. This test records accuracy and recall of cognitive stimuli. All subjects were seated in front of a computer and were given the CPT test. The test was repeated four times: twice with the CT equipment disconnected and twice with the CT equipment connected. Subjects were not aware when the equipment was connected or disconnected. On the cognitive test, two of the three subjects showed a 20% faster reaction time along with a 3 to 17% increase in accuracy when the CT was on. All subjects were seated on a reclining chair lined with a mat containing the CT. They were asked to close their eyes and relax for 30 minutes. This procedure was repeated four times; twice with the CT disconnected and twice with the CT connected. During the resting phase, when the CT was off, all subjects showed brain wave patterns that were indicative of drowsiness and sleep (which is natural in a reclining chair with eyes closed). When the CT was turned on, EEG patterns were similar to those patterns of activity in the brain systematically associated with superior attention and memory performance. Dr. LeGunn EEG findings with Quantum Byte Software: “Dr. LeGunn has completed his testing and has good results. He tested about six subjects before and after exposure to the CT Software while using a computer and I am advised there were significant/positive brain wave changes in the majority of subjects. A test questionnaire was given measuring energy and stress levels, psychological and physiological response to computers and telephones, job satisfaction, and productivity. There were a total of 47 employees in five different groups.The test questionnaire was filled out by each employee before the installation of the CT.
CT was installed at each workstation for a period of two weeks. At the end of two weeks the test questionnaires were filled out again. In each study, the daily work routine was not altered except for the installation of the CT The questionnaires were then calculated to determine the individual’s overall rating. These individual ratings were then averaged within each group to determine the final result. All members reported that the Coherence Technology Software was easily installed and interfaced with existing software without any compatibility problems. All CT Software users reported positive benefits in the area of personal and business relationships. Staff members reported smooth and easy interactions with others, both at home and in the office. Almost all reported that they were driven to work on their computers – a necessity for those who earn their living at the computer. There was also relief from the physical stresses and strains of working at the computer, such as eyestrain, and aches in the neck and shoulder, that can hamper creativity and productivity. Customer Service Staff, who spend 6-8 hours a day in the very stressful and demanding job of resolving staff member’s problems, showed a remarkable upbeat disposition after the CT Software was installed.